Bernard Gottlieb - After taking my car to the garage I was told I would be looking at a bill of over £250 to get one fitted, after looking around on the internet I decided to save myself a shed load of money and do it myself. I was very happy with the free delivery and how quick it arrived. Why Buy A Mass Air flow Meter from UK DIESEL PARTS? 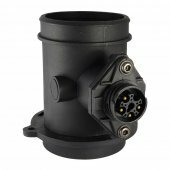 UK Diesel Parts Mass Air Flow Sensors are supplied by an OE quality manufacturer that has passed our rigorous quality checks and is ISO9001/TS16949:2002 certified approved supplier. 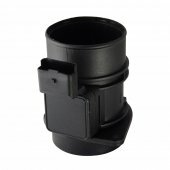 The Air Flow Meter will perform exactly to specification and requirement of your vehicle Meaning that your vehicle will perform just as well, if not better than it previously did. Once you have received your Mass Air Flow this item does not need calibrating or adapting to work in replacement of your existing unit ? Simply fit the new MAF and drive away. The sensor and housing are situated together in a single unit for reliability and accurate engine performance. 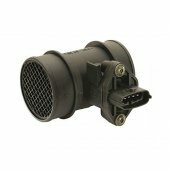 The Mass Air Flow Meter is a direct replacement and will perform exactly to specification and requirement of your vehicle ? Meaning that your vehicle will perform just as well, if not better than it previously did. Do You Think Your Air Flow Meter Needs Replacing? Bernard Gottlieb After taking my car to the garage I was told I would be looking at a bill of over £250 to get one fitted, after looking around on the internet I decided to save myself a shed load of money and do it myself. I was very happy with the free delivery and how quick it arrived.